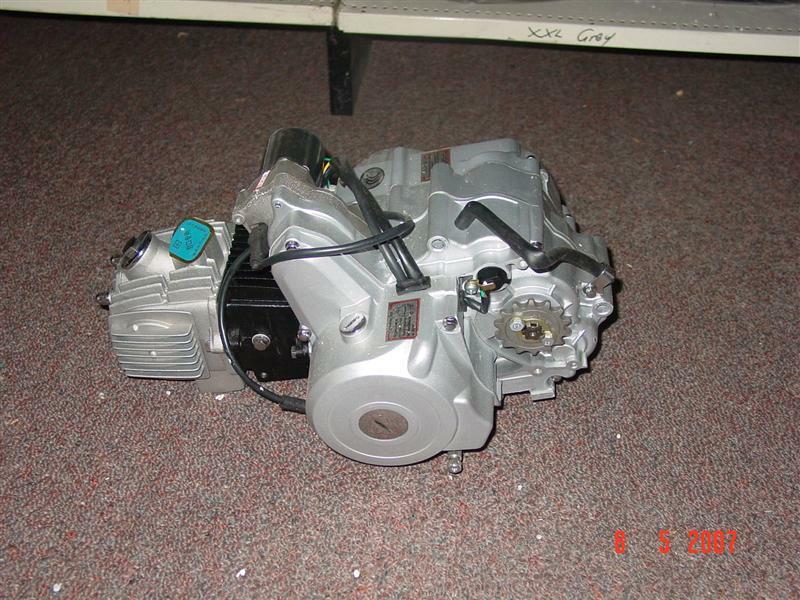 110cc electric start semi-auto engine (top mounted starter). 4 speed. 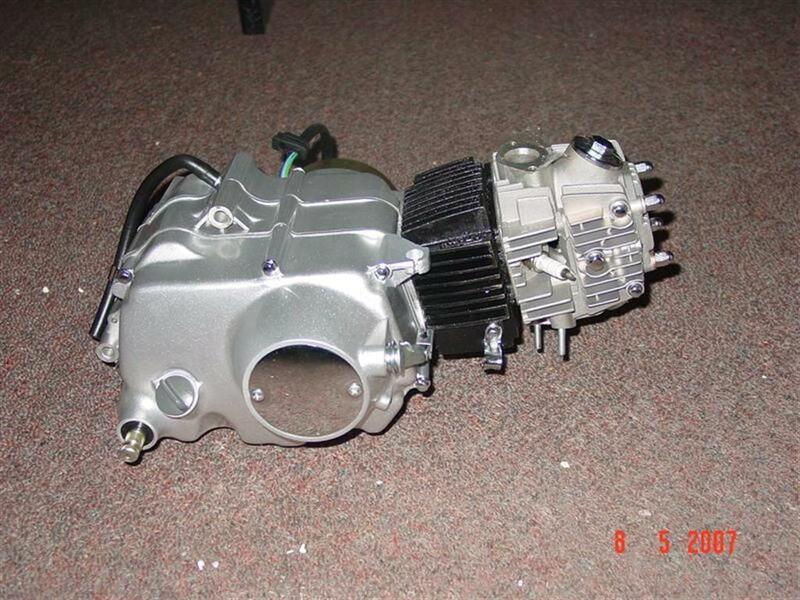 Comes with intake manifold - kick start lever and gear change lever.